After the amazing ripple XRP latest news, ripple price is expected to get on its feet after a dramatic boost. This is the kind of news the investors have been waiting for after the tragic fall of ripple value that happened on march 2018. The latest market report released early this week by San Francisco, stated that $167.7 million ripple has been achieved in the first 3 months of the year 2018. The report states “in quarter one 2018, market participants purchased $16.6 million directly from XRP II, LLC- our registered MSB”. The news continues to say that in the first quarter, significant amount of XRP was traded increasing demand by ripple. At these moment investors are on the smiling side since they are so confident in XRP which will lead to rise in prices. Tom Channick, who is the head of corporate communications claimed that XRP “exceeded” the expectations of the company. The graph is on the winning side at the moment it shows a steady rise which is expected to continue as investors enjoy the achievements. This is only the first quarter of the year and ripple price if foreseen to go higher than ever. Ripple news today shows that after the coin went high up to $0.90, the level later lowered to $0.757 which was seen to consolidate the losses. 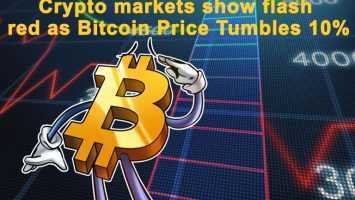 The graph shows that the coin could not hold on anymore and broke its resistance when it reached $0.808, this is due to “short-term bearish trend”. At this point, the coin is expected to be constant or in other word to consolidate at the current level for some time. Ripple continues to hold the 3rd position on the cryptocurrency market, this seems to be a tight competition. Ripple news today shows that it is gaining more popularity in Asia and EU. 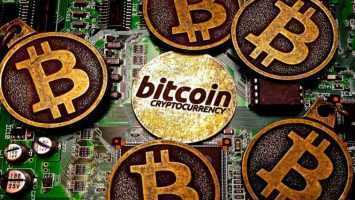 The news continues to state that five companies are expected to partner with the cryptocurrency. The main goal is to take over all financial sectors years to come and rule the world, the journey seems to have already started. Ripple is now dining with the superior authorities in cryptospace. Brad Garlinghouse said that in five years to come ripple will have partnered with more than half of the top banks in the world. 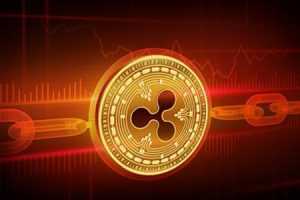 This might seem to be a dream but according to the observation ripple is heading to the peak of the cryptocurrency market.